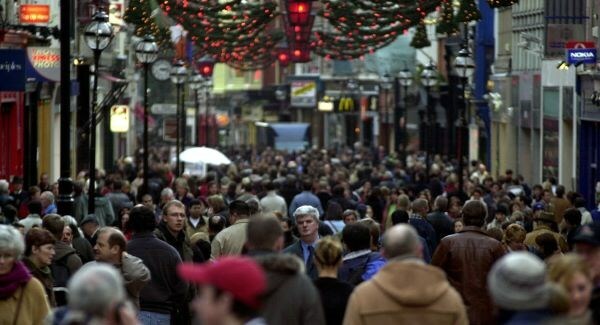 Irish retailers are on course to record their best Christmas season since 2007. That is according to business group Retail Ireland, who also say that most businesses are on track to hit, and even surpass their pre-Christmas sales growth targets. Retailers nationwide are expected to take in cumulative sales of around €4.5bn over the course of this December. Retailers say they experienced a late surge in sales this year, with a particular pick up in the last five days of trading. Director of Retail Ireland, Thomas Burke, says strong Christmas sales are vital for stores. "Some businesses will do about 30% of their total business in the six-week period around the Christmas season. So a good Christmas performance is hugely important to an Irish retail business. "When you consider what’s happening generally within the Irish market, in terms of some of the macroeconomic indicators that are really very strong, when you look at disposable income up about 5% in the first half of this year. "And it’s really been a good Christmas for consumers and that is likely to continue into the January sales," added Mr Burke.